Who doesn’t love Oreos? They are quite possibly my favorite cookie. This set up is quick, easy, and an inexpensive dessert option for any party. 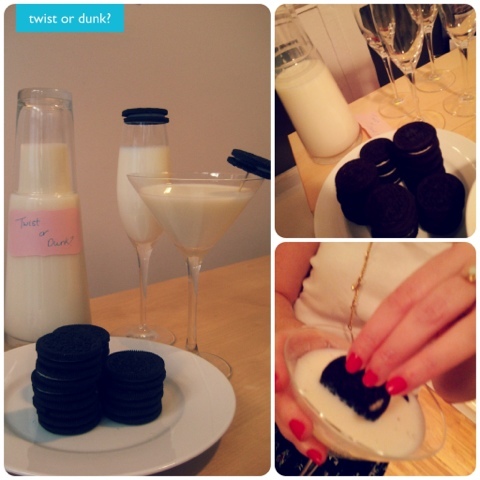 So do you twist your Oreo or do you dunk? I’m a dunker. I set-up all of the items ahead of time and let people make their own. If you wanted to pre-set everything, you can use a toothpick to hold the Oreo on the side of the martini glass.